How Is Adhar Card Connected With Easy Business Loan? Adhar Card is one of the most important business loan documents to obtain a business loan. And not just an important business loan requirement but Adhar Card has also turned one important personal identification proof. Said this, Adhar Card can also be called as a standalone document which can be used both as an identity proof and residential proof. 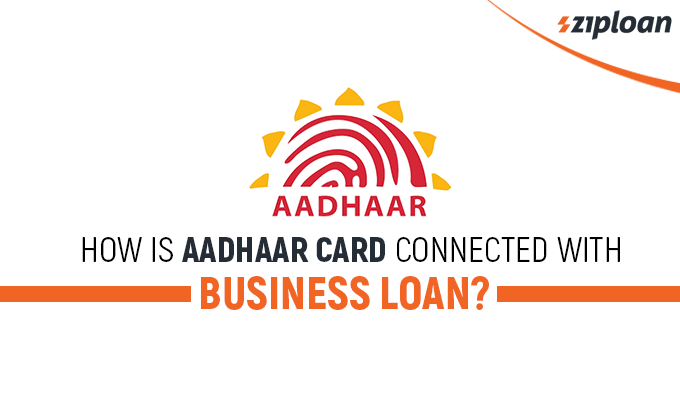 In this blog, we shall talk about how Adhar card is connected with a business loan and its approval. Also Read: How To Get A Business Loan? A Unique Identification Number (UIN) or Aadhar is a 12-digit number which is issued by the Unique Identification Authority of India (UIDAI). The number captures the individual’s biometric information (iris scan and fingerprints) and demographic information (name, date of birth, gender, address, etc.). There are other identity proofs as well, such as Passport, PAN card, driving license, etc. but none of them contains the individual’s information in detail as Aadhar or UID Card. Adhar Card, today, is being treated as an independent identity proof and is being submitted in banks and financial institutions, real estate companies, telecom companies, government schemes, etc. where identity proof is mandatory. Also, it is mandatory of the citizens of the country to link their Aadhar or UID Card with all their bank accounts, mobile number, PAN card, ration card, voter identity card, and LPG connection. Now, with your Aadhar Card linked to your other identification proofs, it is easy for the business loan lender to have access to all your details and verify your Aadhar loan application form easily and fast. Passport in 10 Days: Adhar card will help in getting a passport is just 10 days. This is good news for people who need to travel abroad. The government has rolled out a rule that says aadhaar card is compulsory to get a passport. New Bank Account: Opening a new bank account has turned absolutely easier with Aadhar card. This single card works as age proof, identity proof, and address proof. Voter Card: Linking voter card with adhar card eliminates the bogus voters. Linking both makes it impossible for a voter to have more than one Voter cards. An instant loan on Aadhar Card can be availed if the Aadhar is submitted as KYC documents. Also Read: How To Check Business Loan Eligibility Criteria In 30 Seconds? 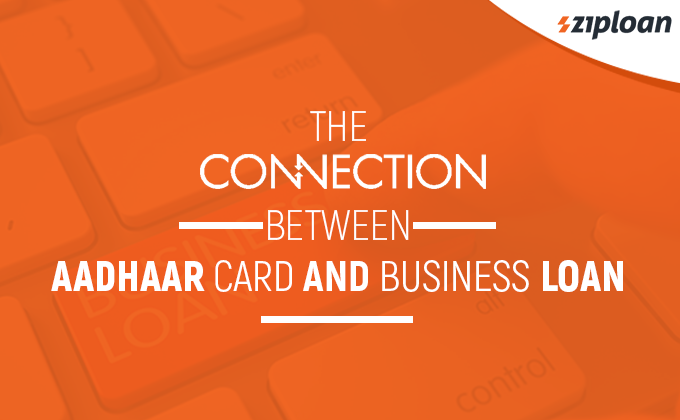 Now Let us understand the link between Adhar Card and a business loan. While applying for a business loan, the lender asks for a number of documents to verify your identification and address. While the business owner can submit a number of documents for the same, Aadhar number can be best KYC document here. 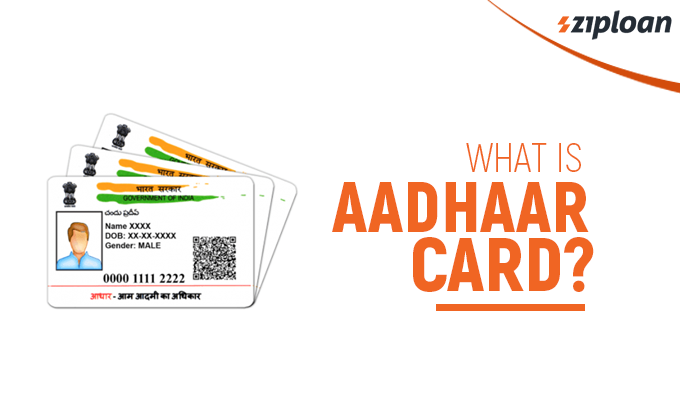 As mandated by the government of India, Adhar Card is linked to various other identification proofs. So, the verification through the UID number is easy since it single-handedly provides access to all the information, from PAN Card and bank accounts to the mobile number and voter card. So, when a businessman applies for a personal loan on Adhar Card, the verification is fast and so is disbursal. Therefore, UID Card is directly related to instant business loans. Noteworthy, Adhar Card can help in fast approval of the business loan while PAN Card number, bank statement, Income Tax Return, and business place address proof are also required to avail an MSME loan. Now, that you know the benefits of Aadhar personal loan for businessman, it is recommended that you apply for Adhar Card now if do not have one. And, in case you already do have, then ensure that it is linked to your bank account, PAN Card, Voter’s Card, and other important documents so you can avail a quick business loan. ZipLoan offers an instant business loan to small business owners who wish to take their business to new heights. All our business loan products are designed to fit all the needs of the business owners in the best possible way. We require minimal documentation and our disbursal process is fast. Previous article What Are The Documents Required For GST Registration In India? How To Qualify For Business Loan in 3 Steps? How To Get Self-Employed Business Loans In India?